Fulcrum Acoustic has appointed Quest Marketing as its exclusive representative for Florida. The appointment comes as Fulcrum is experiencing a significant upswing in product sales in key markets, according to the company. "Being very familiar with the company and most of the people involved, we are pleased to represent Fulcrum Acoustic," said Quest founder John Saviano. "Even when we weren't representing their products, we closely followed Fulcrum's development, being fans of their technological focus and emphasis on quality. We look forward to assisting in their growth." "Fulcrum prides ourselves in manufacturing high-quality, high-performing products in the U.S. and offering customers the most responsive technical support in the industry," said Fulcrum Acoustic president Stephen Siegel. "Quest brings more than 20 years of Florida market knowledge and experience to the table, as well as a customer-centric attitude that mirrors our own. We see Quest as a valuable partner in helping us realize our sales goals." 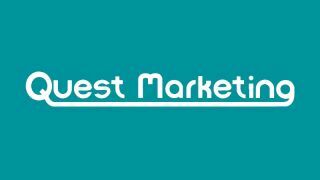 Quest Marketing provides statewide customer sales and support in Florida from offices in Miami, Fort Lauderdale, and Orlando.